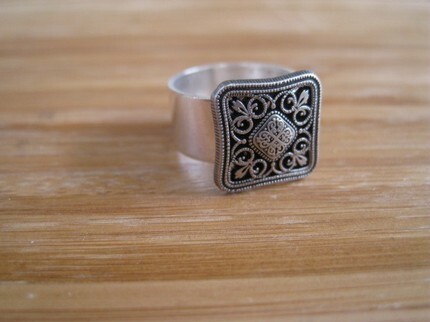 When I saw the jewelery at marleyjanedotcom’s Etsy site, I was immediately drawn to it because I’m a huge fan of silver jewelery and I loved the look of a number of her pieces. I was really excited when Jennifer, the owner of marleyjanedotcom, gave me a necklace to review as well as offering TWO prizes to Simply Stacie readers! 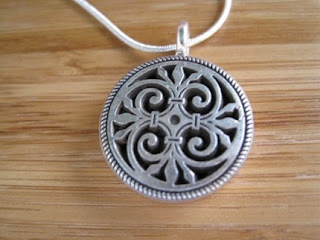 Jennifer offered to send me the In the Cross Hairs Silver Necklace to review. She gave me a choice of chains and sizes so I asked for an 18″ snake chain. From the photos on her site, I thought I would like this necklace because of its beautiful detail and it’s shape and size. When it arrived, I found it to be exactly as it appeared in the photo and that it is simply striking! I love the fine detail and the obvious quality behind the piece. 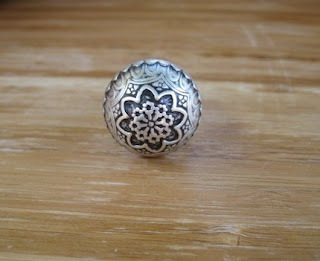 While I chose the 7/8 inch pendant, I appreciated the fact that it was also available in 3/4 inch. One thing I really like about Jennifer’s site is that she does offer a lot of options to her customers. Her rings are all adjustable and many are available in a shiny or a matte finish. She also has different size pendants and she has a number of options in terms of the length of chains as well as the type of chain. 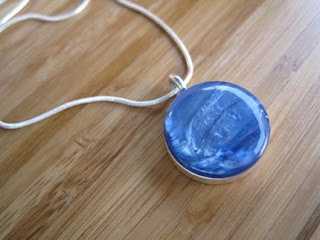 I am really pleased with my necklace from http://www.etsy.com/shop/Marleyjanedotcom. I’m already looking at some other pieces that I think I’d love to have in the future! I love the Meeting on a Limb Silver Bird Necklace! I became a fan of Marley Jane on Facebook.